3 Bedroom Semi Detached House For Sale in Tavistock for Offers in the region of £550,000. 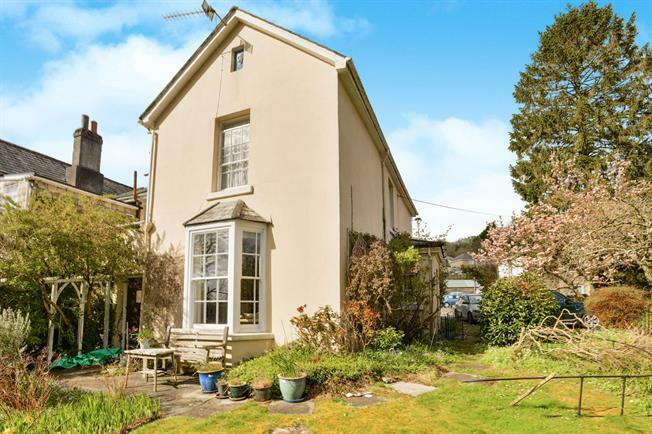 FEATURED IN THE BIG OPEN HOUSE- Situated within a short level walk in to Tavistock's vibrant town centre, this semi detached period home comprises of three double bedrooms, family bathroom, large lounge, dining room, good sized kitchen/breakfast room, utility and WC. The property retains many original features such as fireplaces, internal doors and beautiful sash windows. There is gas central heating throughout, a wonderful garden backing onto the River Tavy and parking spaces for two cars. Mix of matching wall and base units, double sink and drainer, mixer taps, built in cupboard, radiator, single glazed sash window to front. Belfast sink, plumbing for washing machine, single glazed sash window to rear. Single glazed sash window to rear, radiator. Single glazed sash window to front, radiator, storage cupboard. Panelled bath, pedestal wash hand basin, electric towel rails, single glazed sash window to rear.